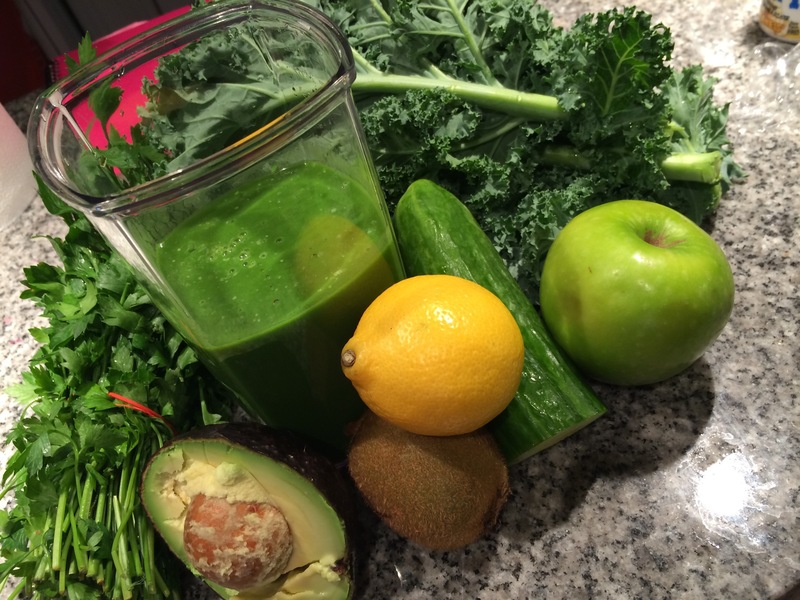 As some of you may know this past weekend with the support of my husband and a good friend and running buddy of mine I decided to give a three day juice cleanse a go. I did my research, looked in my school books, on the all reliable Internet and read testimonial after ridiculous testimonial and figured I would toss my own experience into the ring. So first I will explain why I thought this would be a good idea. There are two reasons really the first being that it is supposed to make you feel better and more energized so why the heck no. The second being I am studying to become a holistic nutritionist and I figured if I may one day recommend someone do this I should have an idea of what they will be experiencing. Once I had it in my mind that I would be doing this I started looking up smart ways to go about it. I am still training for a half and practice yoga regularly so I wanted to make sure that I would be absorbing benefits not hindering my progress in any area. So the first thing I did for the cleanse was to take a step back from too much activity, no biking or rollerblading and I stuck to Yin/ Restorative yoga. Then it was all about figuring out what to drink. I decided after my research that aiming for 4-6 juices a day and more if I was still hungry would be a good amount. I wanted to be sure to get my protein in and seeing how I am allergic to nuts I used a vegan protein powder instead of the recommended cashew nut “juice”. Then I went grocery shopping and stocked up on organic produce from both my grocery store and local farmers market. Then came the easy part of drinking the fruits of my labour. The first day of the juice cleanse wasn’t so bad. Still all pumped up with motivation and determination the first two juices were no big deal. I am pretty used to starting my day with a protein shake or something of the sort it wasn’t such a huge change from my norm. However, by the third and fourth juice I was pretty much ready to sink my teeth into something. It wasn’t that I was hungry per say but I was definitely feeling unfulfilled from not being able to actually chew my food. On top of the insatiable urge to chew something I had been nursing a ridiculous headache for most of the day, which was most likely a symptom of detox or due to lack of calories could be either or. After I drank down my protein shake and put a different program on the TV so I wouldn’t have to watch others eat, I soon decided it was time for bed so I wouldn’t have to be awake and thinking about all the food I would much prefer to drink than to eat. I woke up in the morning pretty jazzed up, my headache was gone and I was feeling pretty energized after having slept about 11 hours (which is completely unlike me). It was farmer’s market day (which is always a good time) and I had one day under my belt so I was feeling pretty confident. Everything I had read said that day 2 would be the most challenging, that when stuff starts to move through your body, you really feel the detox and it is when the hunger really hits. Well to keep this polite things didn’t start to “move for me” which is quite unnatural for me, My hunger and desire to chew wasn’t worse than it was on day 1 and my headache had left me so I kind of felt like I was ahead of the game. However, by the time juice 3 rolled around my body wasn’t havin’ none of it! I started to feel a little nauseous, light head and all around disgusting. I texted my girlfriend and husband who kindly reminded me that it was my idea to do this and to keep powering through. Their love and support worked until my body completely rejected that last juice. After losing my lunch (literally) I decided that I had put in a valiant effort and there was no shame or embarrassment in having to break the fast. I emailed my husband a grocery list of items to pick up from the store so we could eat solids (and yes meat was on this list), and then laid myself down on the couch to relax, drink some water and love my body. Now through my research it was also strongly recommended not to eat meat or dairy for at least three days after such a cleanse because your body might have a hard time processing it. So sure I was a little weary of chowing down on some red meat, but when it came down to it, but this wasn’t the case for me and my body. 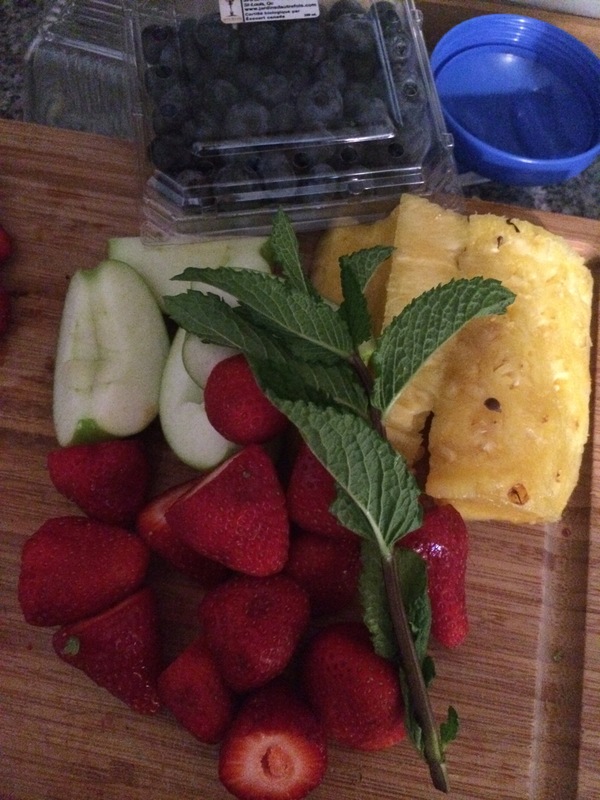 I had already broken the cleanse and eaten food, however when I woke up on what would have been day 3 of the cleanse I was actually craving a juice. My body welcomed the delicious strawberry, beet and carrot beverage. The rest of my day was spent normally having solid meals, lots of veggies and fruits and being all around satisfied with my meals. I learnt that juice cleanses are bananas. I mean I was coming from a place of curiosity and wanting to do good for my body and I honestly think I did. Although I didn’t finish my cleanse I did come out of it with a renewed sense of mindfulness when it comes to what I put into my body. 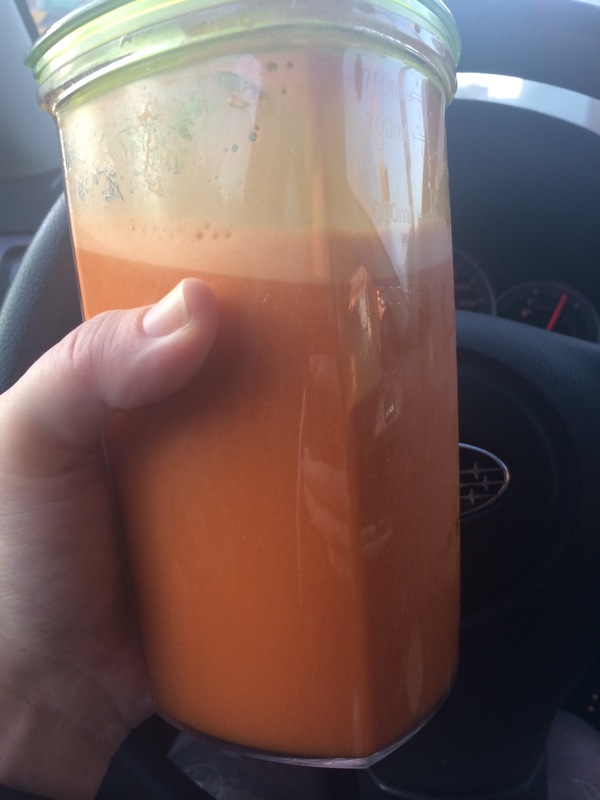 I will continue to include homemade veggie juices in my life and was grateful to have the opportunity to find out what it would be like, however I don’t think I would ever attempt a 100% juice all day every day cleanse again it didn’t work so great for me any my personal body make up. 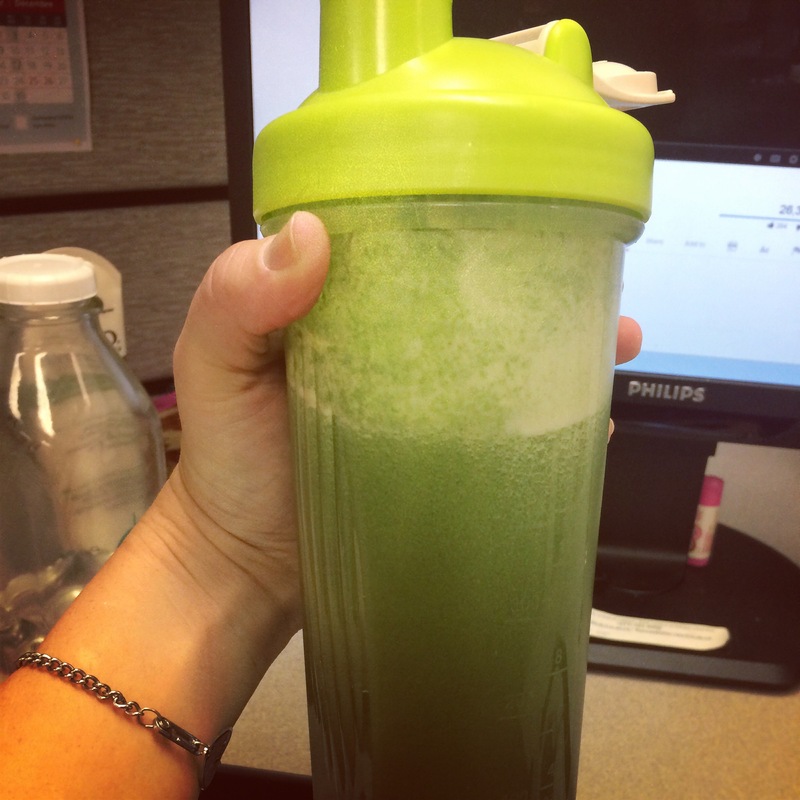 Have you ever tried a juice cleanse or something of the sort? How did it pan out for you? This entry was posted in General and tagged detox, fit, Goals, health, juice cleanse, organic, protein shake, success, three day juice cleanse, will power by healingginger. Bookmark the permalink. Hey Brittany! Good for you for trying a juice cleanse! I have heard some pretty scary stories from people who haven’t been able to do. They get crazy dizzy. Have you seen the documentary “Fat, Sick and Nearly Dead” ? I have a feeling it contributed to the whole Juice Cleanse push. It is really interesting and worth a watch- on Netflix! I have seen it and it was definitely a good watch. I think the thing with cleanses is you have to be informed (holistically or by a doctor) and you really have to listen to your body.